Villa life is the life for us and we took a long weekend to reconnect in Jamaica with 2 of our newest favorites. 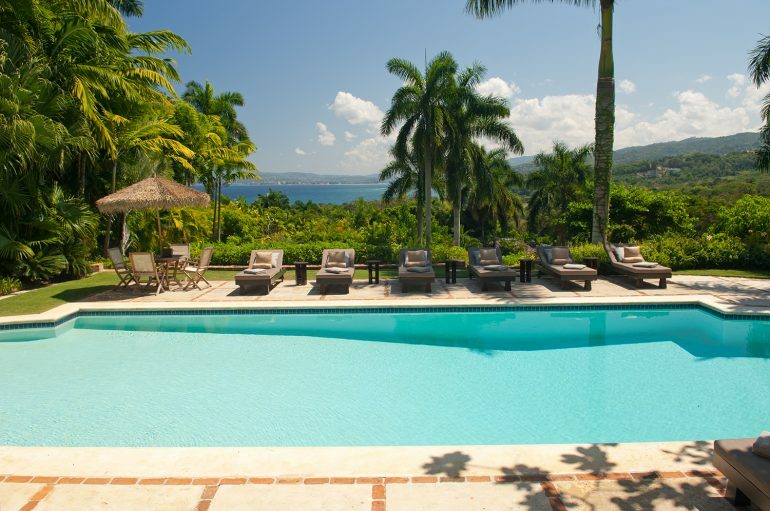 Villa Janus and Longview Villa are located within the confines of Round Hill Hotel and Villas, making it an easy choice for us when looking at where the three of us could go to hang out and laugh for a few days. This mother-daughter(s) trip was more on the impromptu side of things as we only decided to get away about ten days prior to arriving. This is probably why we were a little more indecisive on exactly which villa to book for this brief sojourn, and why we ended up booking two. Not spoiled at all, are we? I think the word spoiled may be an understatement after what we experienced. Fist stop – Longview Villa. My mom and sister were not briefed on exactly what we were in store for. 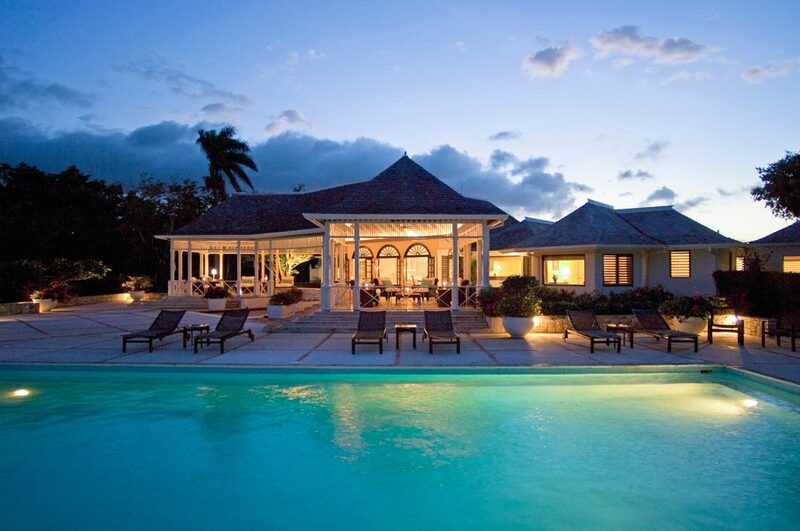 All they, and I for that matter, knew was that we were embarking on four days of fun in these Jamaican villas. Perhaps a quick search on the Internet could have better prepared us for what was about to unfold before our eyes. As Mary Phillips, the villa manager, introduced us to the awaiting staff, armed with cold towels and refreshing beverages, we could not help but peep over their shoulders through the drawing room of the villa. Through the marble-tiled space with its painted white ceilings, we saw the sky kiss the sea. We needed to make our way off of this front verandah, through the welcoming committee of nine staff members, and onto the massive back verandah in order to take in this vista. 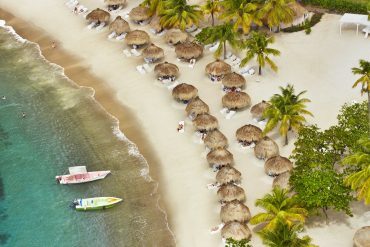 Although we attempted to downplay our excitement and pay full attention to the warm Jamaican smiles and introductions, they knew what we were angling to do. Graciously our butler escorted us to the rear of the villa and the sky and sea were just the beginning. The pool was not in any position to be ignored. 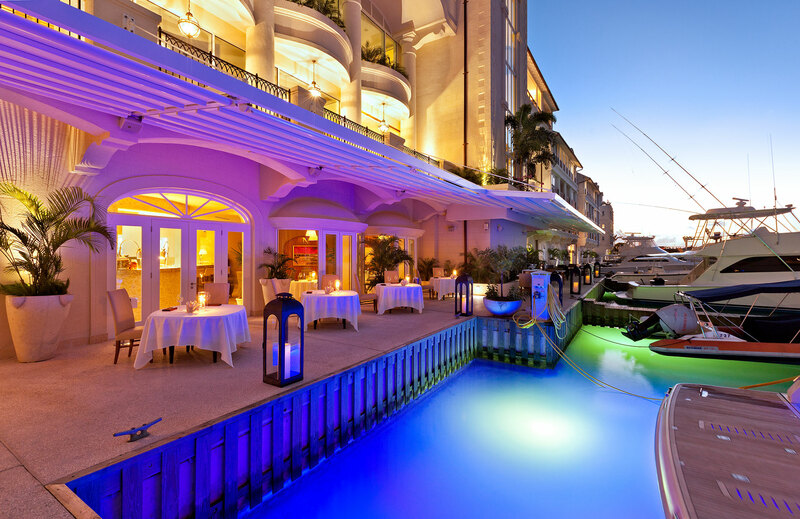 It took up most of the back terrace with its 30’ x 50’ expanse of glistening water. It seemed we may never need the golf cart that comes with the villa, to venture down to the beach. We were at home in this seven bedroom villa. That may sound excessive for the three of us, but rest assured, we made full use of the four bedrooms in the main house and only ventured down by the tennis courts to check out the three-bedroom cottage below. Spending days at Longview Villa were nothing short of luxurious. Our butler attended to every need and paired our appetites for authentic Jamaican food with the masterful hands of our personal chef. Life was good. It was so good that when it came time to head over to Villa Janus for our final two nights, we found it hard to pry ourselves away. Luckily for us, Michael, our butler was moving with us and so was our chef. This common thread made the transition smoother but we thought we might miss the views and expansiveness of Longview. We were pleasantly surprised that the lush tropical feel of Janus was drastically different but inviting in its own way. The massive almond tree that grew out of the brick-paved back patio looked old enough to tell some tales of its own. The design of this villas was an intricate knit of suites and living areas, punctuated by the owner’s collection of wooden artifacts from around the island and the world. The dark wood was everywhere and made the four suite villa feel cozy, although it was larger than life in so many ways. The pool sat below the back patio and crowned the top of the hill that lead to the tennis courts and undulating hills. At the very bottom of these rolling mounds, our butler and groundskeeper set up the croquet field where we challenged the staff to a rousing game of croquet. Everything about this villa awakened a sense of nostalgia and whimsy. We loved it here and have no doubt that you will as well. When you come, spend a little longer than we did and definitely book both villas, if available. 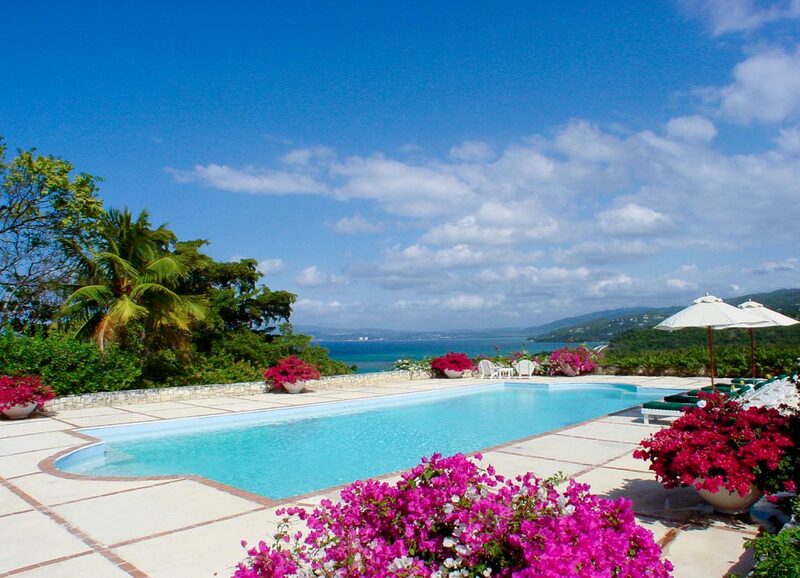 You have access to all the amenities of Round Hill with all the privacy and personal services that one requires from a luxury villa vacation.